Well, we finally have a plan. 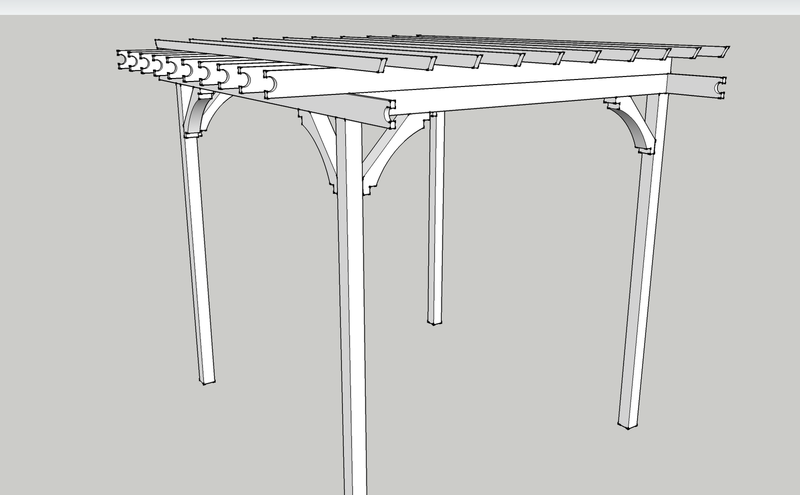 This is unlikely to get built this year, but other stuff can go in around it now. I think it was actually the total destruction of the planter next to the garage during the garage rebuilding that helped us to see it as a possible site for a patio. I guess it was hard for us to mentally erase planters and see blank ground. 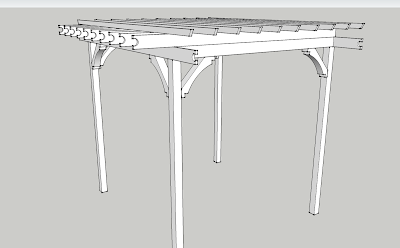 Today I threw together a quick design for a pergola. There will be changes, because I didn't allow for anything like hardware, etc. 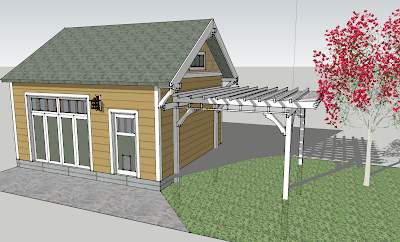 It was really the look I was trying to figure out as I wanted to incorporate a number of details from our house's architecture, especially the brackets. As for the garage, here is where it is at. 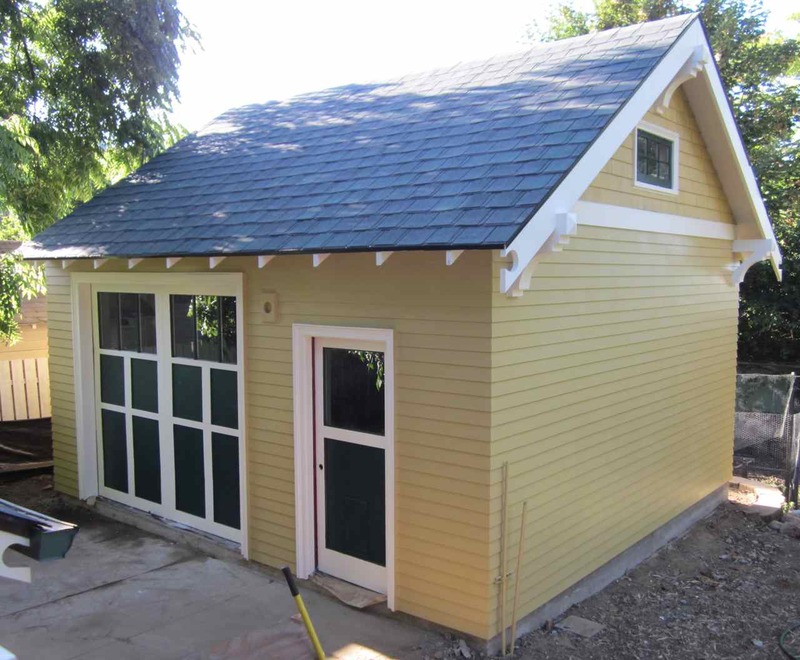 It looks done, but the back side of the roof still needs shingles and the guys assembled the garage door panels in the wrong order, so they'll have to fix that too. Poor Tim. Wow! That was FAST!! We hired a builder (admittedly, he was BAD) to build our garage and it took him more than two months to get half-way, and then he quit because we quit paying him. Luckily, he had his WA ID card which he used to cash his checks, and we took him to small claims court. We won, but he left with the money we paid him and disappeared into Alaska. In any case, it looks fabulous and it's great that it's already so close to being finished. I thoroughly investigated Tim before we hired him--reviews, references, etc. Even with that, the project was not without its problems. But, overall, I'm satisfied with the job he did. Looks great! And so fast. Our garage project took much longer :-) I like the pergola plan!